This entry was posted in blog on April 7, 2018 by admin. 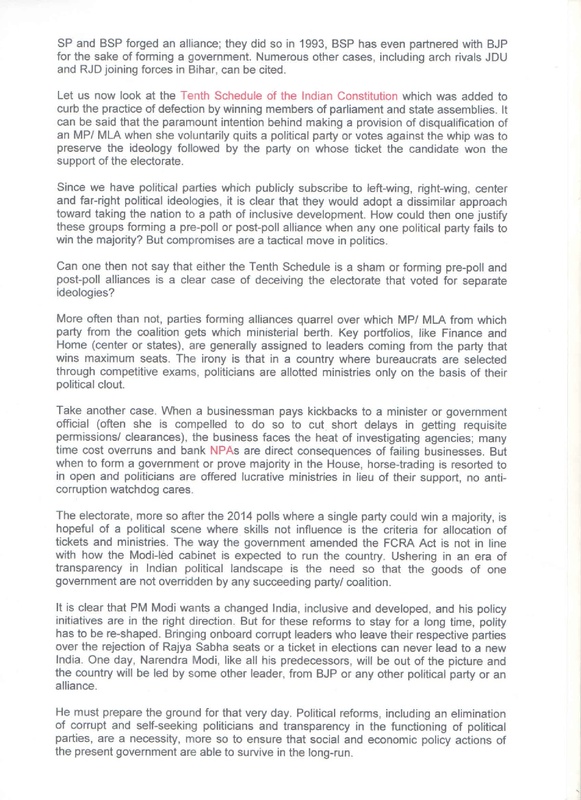 We know how corporates donate to political parties and then fetch favours from them. 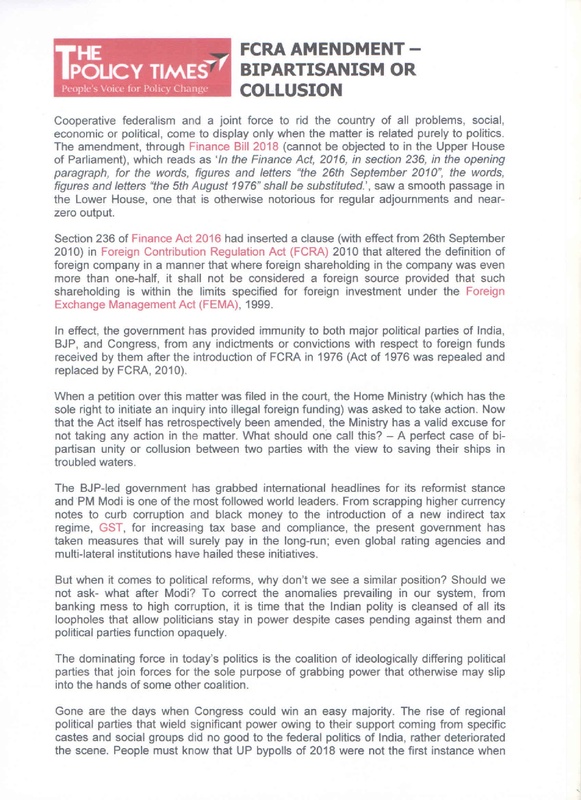 BJP government only collided with Congress to hide donations from foreign sources. The change in FCRA was silent but the media has noted it. Modi led government may find this as indicative of media not remaining silent on key issues. Media is a pressure group and they are doing their job. Those who say that Indian elections are very expensive must look at how much money is spent in US during campaigns. A part of electoral politics is funding and government is not wrong in accepting funds. Everyone knows that corporate houses back governments through donations so that they can get a favourable policy. This is a byproduct of capitalism and democracy. Not only this, the bringing of electoral bonds is also not in favour of nation. Any anonymous donor can buy these bonds since they will not bear the name of buyer. This will increase corruption. In the past few years BJP has been the largest beneficiary of all donations by electoral trusts. They actually need money to send across a message which otherwise cannot be done. One must understand that by accepting donations from a foreign entity, political parties do not become corrupt or intimidated by contributors. This is one of few issues where there was no altercation in parliament. FCRA Act has been retrospectively amended and now parties have immunity from getting investigated for past foreign contributions. It is rather wrong to blame BJP for amending the Act in a specific manner. They have their own compulsions and cannot allow investigating agencies to cow them down so that reforms get slowed. All political parties are the same and they will do anything to keep themselves out of any probe. What India needs today is sweeping political reforms so that country can be led by wise men. Thanks a lot for giving everyone a very superb opportunity to read in detail from here. It really is very ideal and as well , stuffed with a good time for me and my office peers to visit your site not less than three times per week to read through the newest guidance you have got. And definitely, we’re actually astounded concerning the incredible things you give. Certain two tips in this post are essentially the most efficient I have ever had.